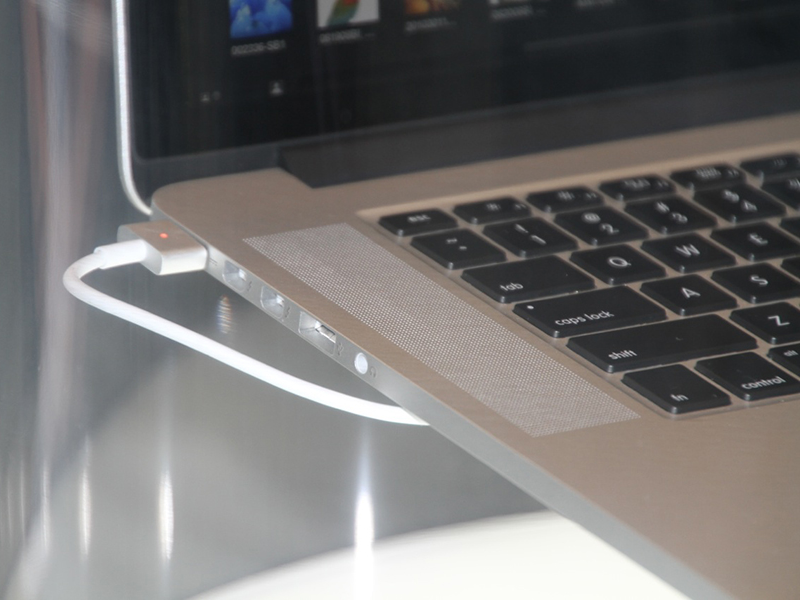 A mini Dock Connector expected to make its debut on Apple's new iPhone next month sports 9 official points of contact and takes design cues from the company's patented and 'idiot proof' MagSafe adapters, AppleInsider has learned. The introduction of the new connector alongside Apple's so-called iPhone 5 next month is expected to jumpstart a transition to retire the legacy 30-pin connector that has been a staple of the company's handheld devices since making its debut on the third-generation iPod classic nearly 10 years ago. In addition to comprising roughly 60% less real estate, the new mini Dock Connector will deliver enhancements in I/O connectivity and transfer rates with just a fraction of the number of electrical contacts as its predecessor, according to people familiar with the matter. They say the 8 gold contacts seen on one side of the male plug in recently leaked photos of the connector are simply repeated on the flip side. They're reportedly joined by the surrounding aluminum-colored metal shell of the connector, which will similarly serve as a functional contact, bringing the total number of pins to 9. The new connector will also deliver a number of welcomed enhancements for consumers, according to people familiar with the design, one of which will be its orientation independence when plugged into any one of Apple's future iOS devices. "The beauty of this connector is that it no longer matters which side is up when you insert it into the phone," one of those people explained. 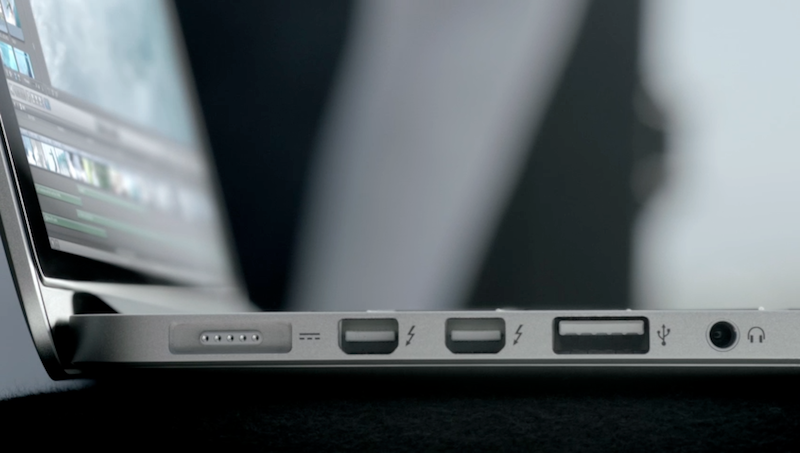 "It's like MagSafe on the [MacBook] - every orientation is the correct one." 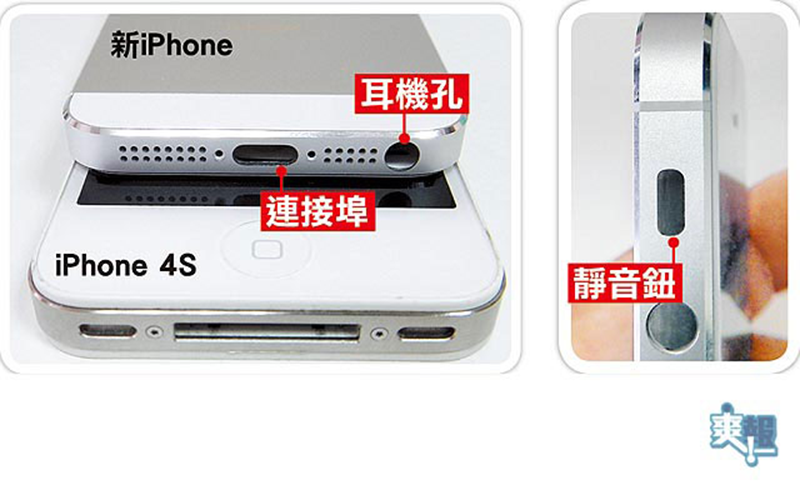 The number of functional pins Apple planned to deploy with the new mini Dock connector has been a topic of debate ever since hollow enclosures believed to represent the next iPhone began surfacing with a Dock Connector recesses sized at approximately one-third that of the legacy 30-pin Connector. 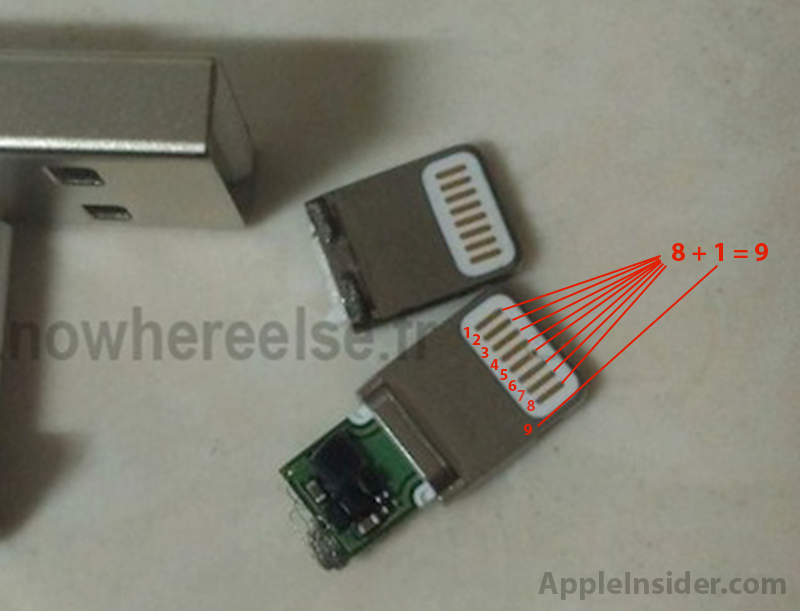 Though reports have included claims of 8, 16, and even 19 functional pins in the new connector, the latest explanation is believed to be supported by specific references to a new "9pin" connector recently discovered in the beta code for the upcoming iOS 6.0 release that will ship on the new iPhone. Like the orientation independent T-shaped MagSafe 2 adapter that Apple introduced in June to replace the first-generation L-shaped adapters, the company's new Dock Connector will help facilitate slimmer, more compact handheld designs that consumers can quickly plug in and charge without the hassle of having to orient the plug in the correct direction when attaching a cable. Apple's new orientation independant MagSafe 2 connector. Due to the abundance of accessories on the market compatible with the current 30-pin design, Apple is expected to provide an adapter to help ease the transition to the smaller design. The Cupertino-based company is expected to take the wraps off its latest iPhone and provide official specifications of its new 9-pin Dock Connector at a media event in California on September 12th.